Metrum Acoustics is pleased to announce the introduction of the FLINT, the baby Digital to Analog Converter with the unique Non-Oversampling sound quality you are familiar with. The first low entry, yet very powerful Digital to Analog converter from Metrum Acoustics comes to you with the renowned Metrum Acoustics DAC chips. The FLINT made its launch in June 2018 and builds upon our years of experience in digital to analog converters. 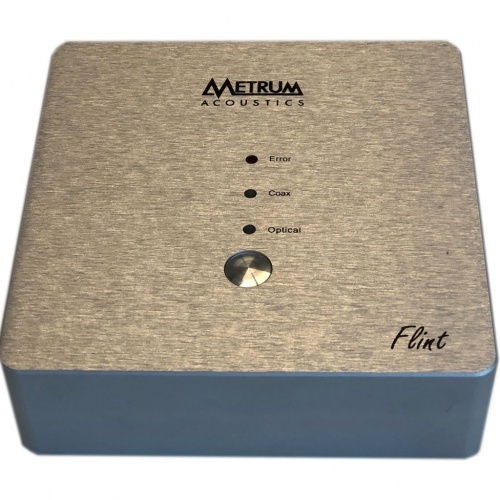 The FLINT combines high quality components known by thousands of Metrum Acoustics clients worldwide. The FLINT is the ultimate companion for every distributed audio setup, like SONOS, Denon, Bluesound, but also because of its small size fits into any bedroom or other room where you require the most sublime digital sound. 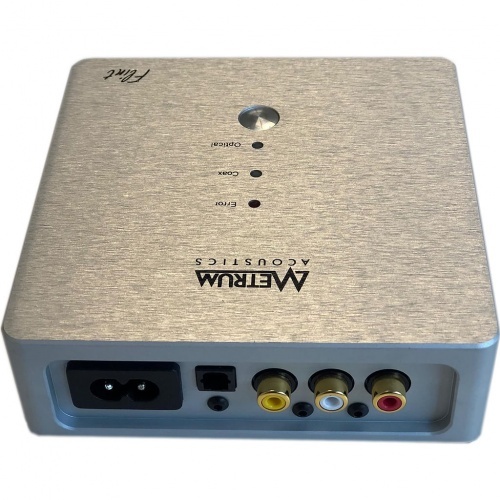 Sublime Digital sound for game consoles, distributed audio, or any other audio setup.